Beefed up true single-coil for warm instruments. Perfect for Texas blues rock, classic rock and heavy rock. Calibrated set available with RW/RP middle pickup. Many players use an SSL-6 in the bridge position with vintage output pickups, like SSL-2's, in the neck and middle for tonal versatility. 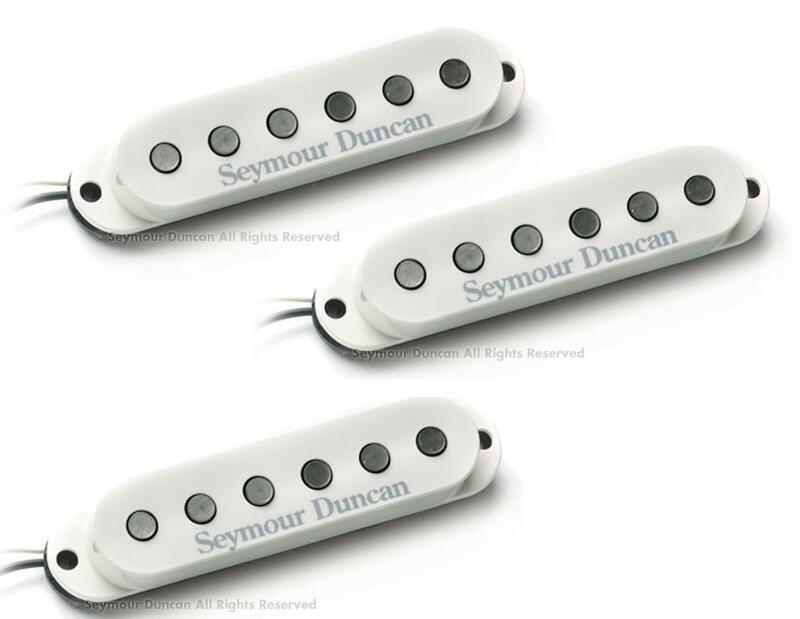 Reverse wound, reverse polarity (RW/RP) middle pickups for hum-canceling in positions "2" and "4" on the five-way switch. Tapped version for dual output levels. Denna produkt inkom i vårt sortiment tisdag 08 december, 2009.